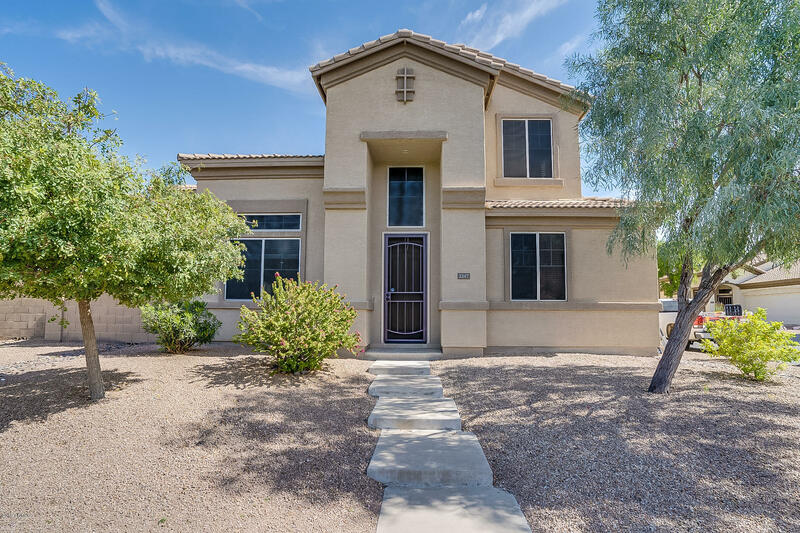 All AUGUSTA RANCH PARCEL homes currently listed for sale in Mesa as of 04/23/2019 are shown below. You can change the search criteria at any time by pressing the 'Change Search' button below. "Situated on a Cul-De-Sac Lot Featuring 3 Bedrooms/3 Baths, Great Room Floor Plan, Lots of Tile, Vaulted Ceilings, Accent Paint, Eat-In Kitchen with Pantry, Granite Counters, Upgraded Cabinets, Smooth-Top Range & B/I Microwave, Laundry Room Inside, Vaulted Ceilings in Master Bedroom, Walk-In Closet & Dual Sinks in Master Bath, Covered Patio, Low Maintenance Backyard, Small Grassy Area, 2 Car Garage and More!"